Start by using fresh 80/20 coarsely ground chuck perfectly seared with a crispy crust on the outside – tender and juicy on the inside. Top with a delicious mix of melted cheddar and Gruyere cheese and homemade Russian dressing, then wrap it all inside a toasted artisan bun. The Sauce. The Russian dressing should be prepared in advance. 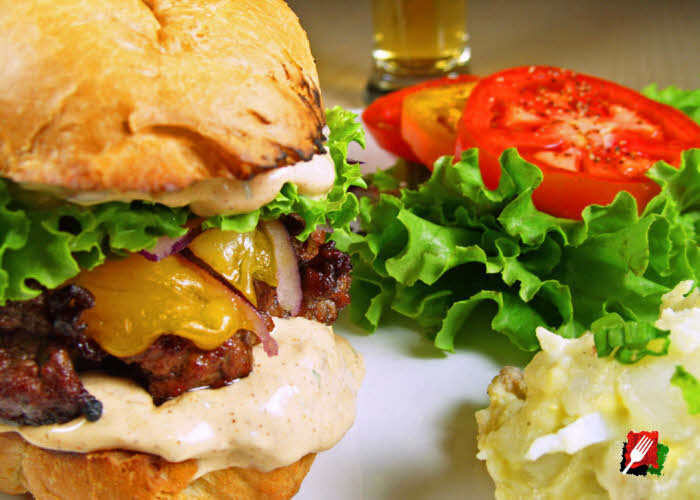 Follow the recipe for this delicious Russian dressing, then refrigerate for at least an hour before making the burgers. 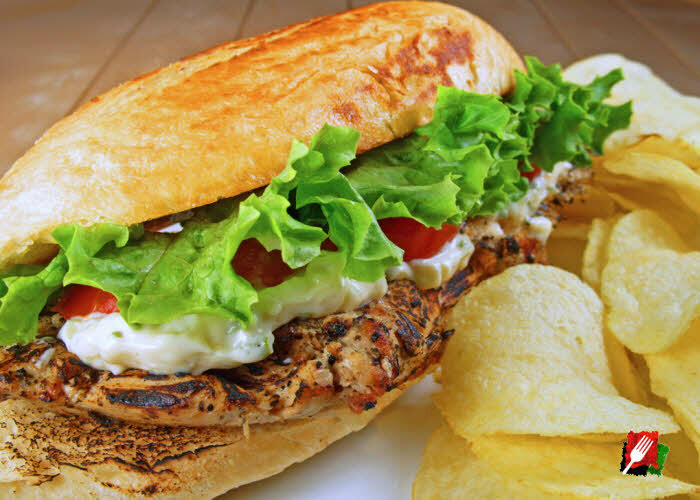 Our Lemon Basil Aioli is also delicious on this burger. 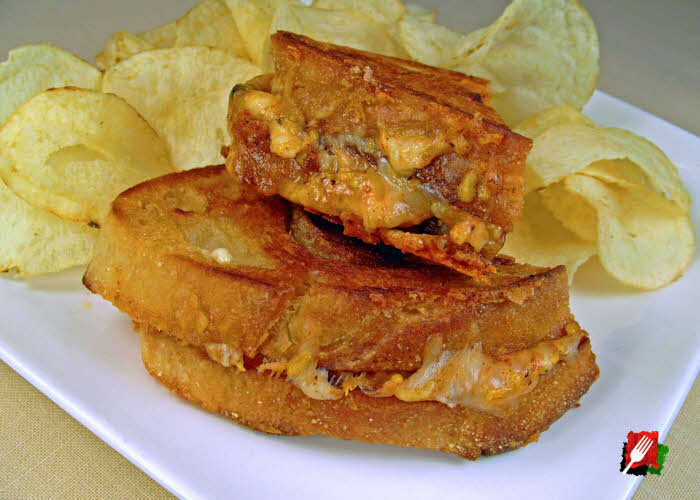 In a pinch, you can substitute with store-bought Russian dressing, Thousand Island dressing, or simply use mayonnaise. The Burger Patties. 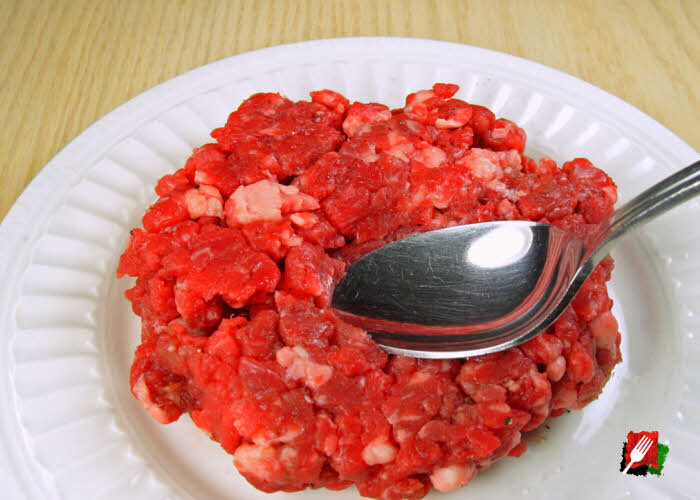 For refrigerated ground beef, let it set out for 30 minutes before forming into patties. 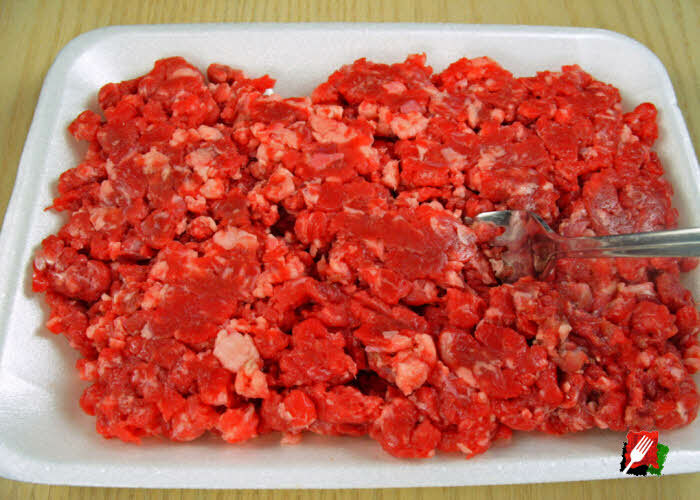 The meat will still be cold, but that’s fine, since it helps prevent the fat from melting out during cooking. 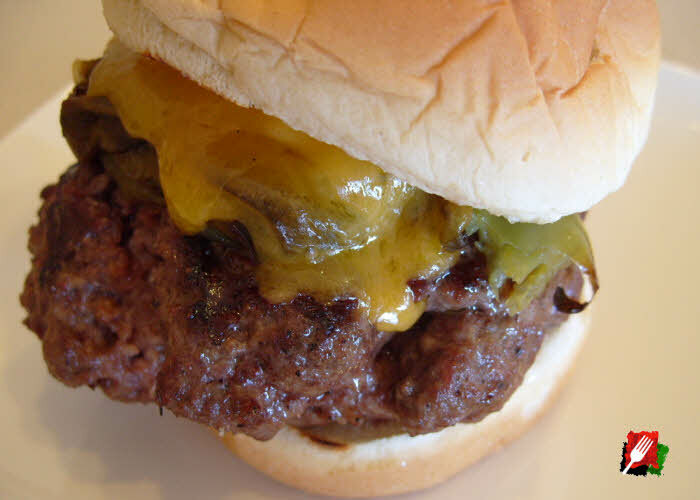 Loosely and gently form the 80/20 medium ground chuck into four 6-oz 4″ x 1″ thick patties using a fork (They will shrink to 3 1/2″ after cooking). Pack them delicately – just enough to not fall apart. For medium rare burgers, patties that are at least 1″ thick ensure they develop a nice seared crust, yet hold medium rare on the inside. The Cheese. 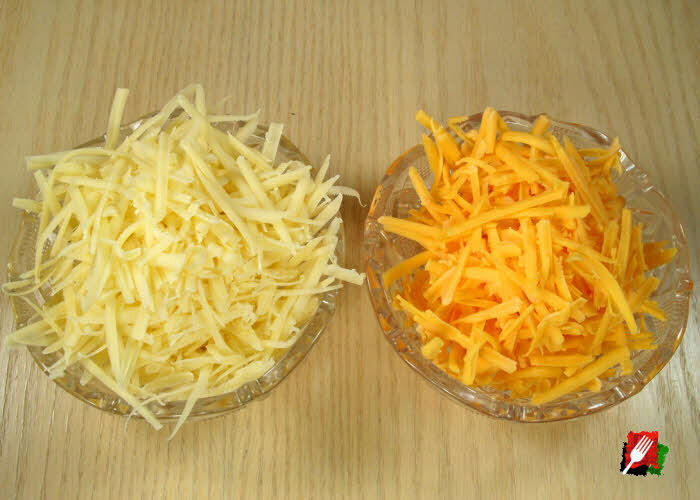 In a medium bowl, add the freshly shredded extra sharp cheddar cheese, the shredded Gruyere, and the Dijon mustard. The Dijon is not only delicious on a burger, it acts as a binder to help hold the cheese together. 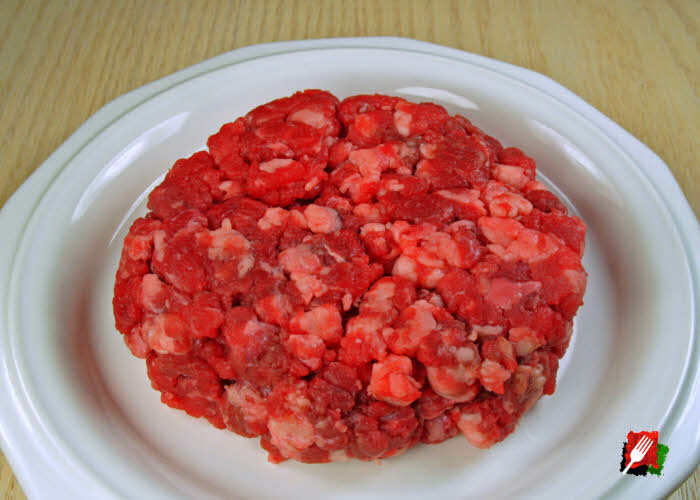 Mix well to combine, then form into 4 cohesive 3″ diameter cheese patties (about 1.5-oz for each of the 4 burgers), then cover and set aside. 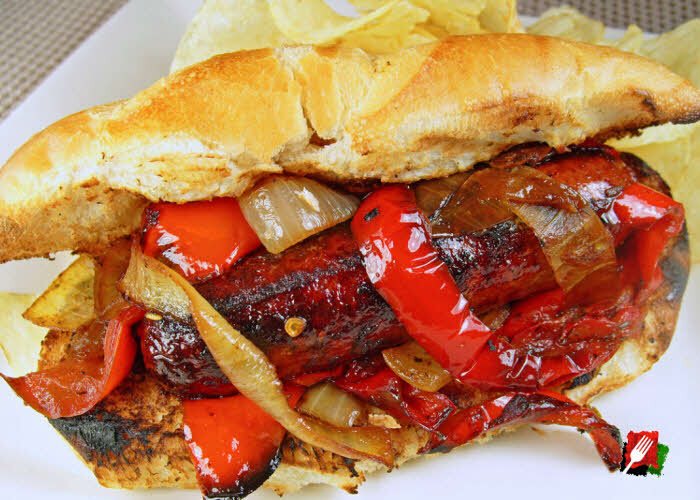 Clean the grill grates and preheat grill to high. When the grill is hot, carefully place the loosely formed hamburger patties on the grill with a spatula with the indented side up, close the lid, and let them cook untouched for 3 or 4 minutes until golden brown and it has developed a charred crisp crust. During this time, do not smash down on the burgers with the spatula during cooking. 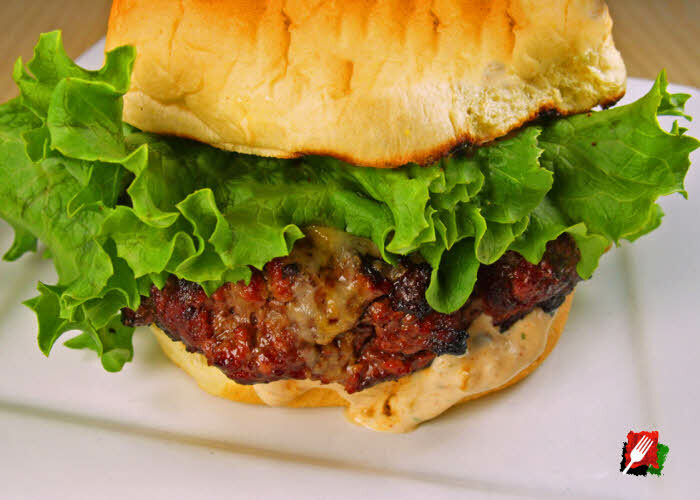 Doing so will release the burger’s flavorful juices, make the burger dry, and also cause the grill to flair up. Don’t handle the burgers any more than necessary, and only flip them once. 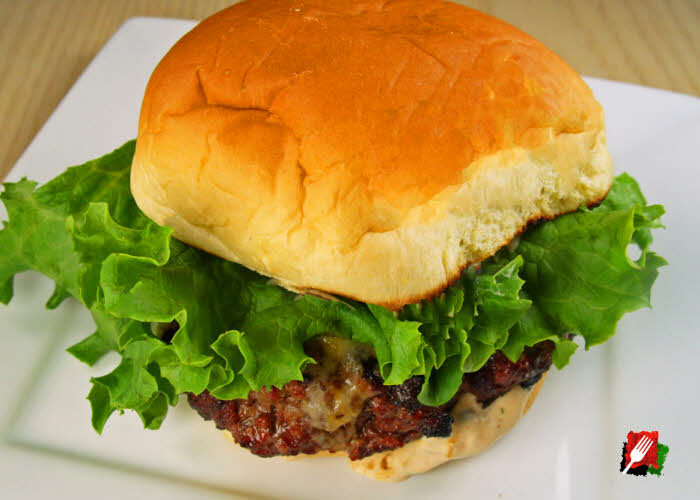 After 3 or 4 minutes of cooking on the first side, reduce the heat to medium-high and carefully turn the burgers over, one by one, then top each burger with the individual cheddar/Gruyere cheese patties and optionally add caramelized onions. 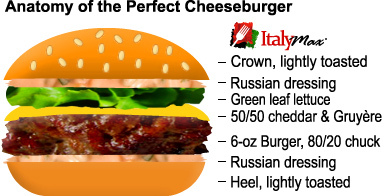 Immediately close the lid and let them cook for another 3 to 4 minutes or until the cheese fully melts and the burgers are cooked to the desired doneness.1 For burgers cooked rare, cover the burgers with a large foil pan so the cheese melts faster, and reduce the cooking time to 2 minutes on the second side. 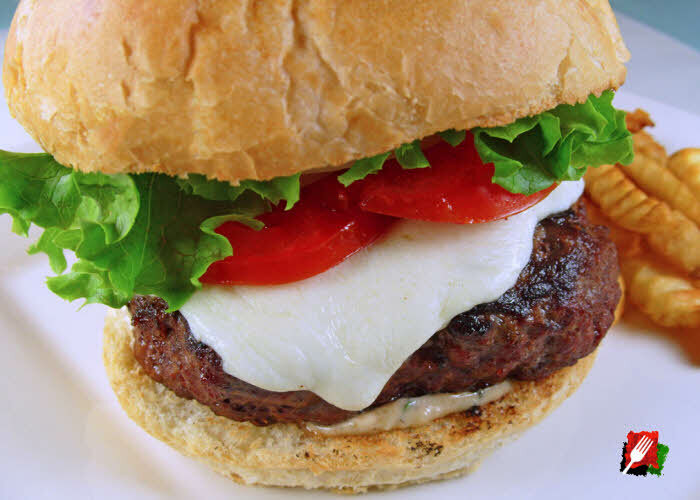 When done, carefully take the cheeseburgers off the grill, cover the burgers (without disturbing the cheese) and let them rest for 3 minutes while you lightly toast both sides of the buns (the cut side of the heel and crown) on the grill. 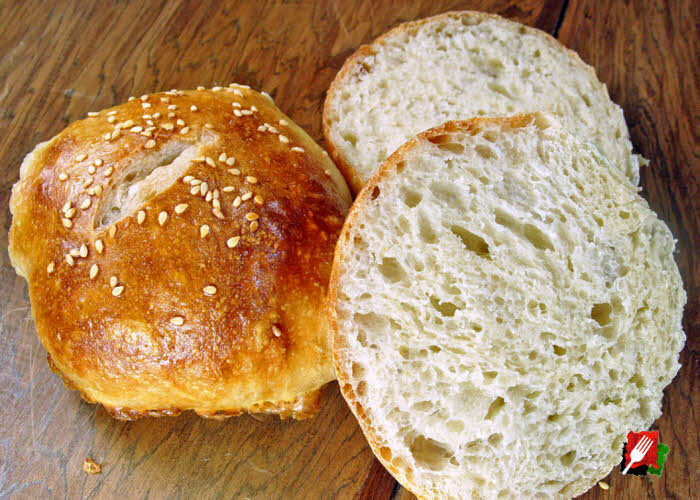 Optionally do a light coat of butter on the bread before toasting. Toasting only takes a few seconds, so be careful not to burn them. Heat a large, heavy cast-iron skillet over medium-high heat. Add extra virgin olive oil to skillet. Carefully place the loosely formed hamburger patties in the skillet, two at a time, with the indent side up and let them cook untouched and uncovered for about 3 minutes until golden brown and it has developed a seared crisp crust. During this time, do not smash down on the burgers with the spatula during cooking. 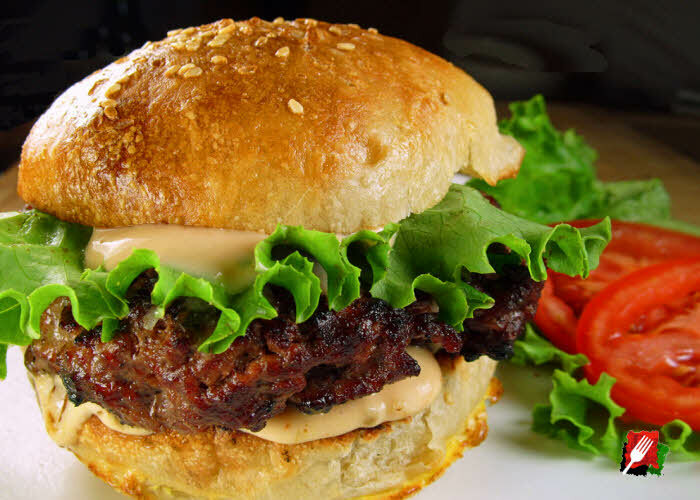 Doing so will release the burger’s flavorful juices and make the burger dry. When done, carefully remove the cheeseburgers from the pan, cover the burgers (without disturbing the cheese) and let them rest for a few minutes while you lightly toast both sides of the buns (the cut side of the heel and crown) in the same pan over reduced heat. Optionally do a light coat of butter on the bread before toasting. Toasting only takes a few seconds, so be careful not to burn them. 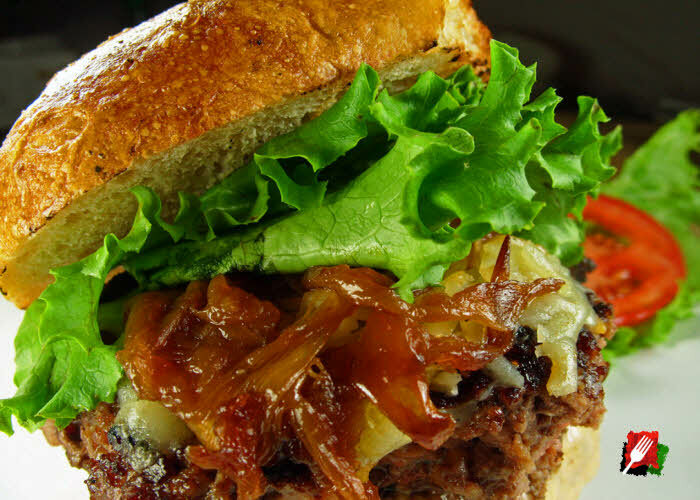 The perfect burger is juicy and flavorful with limited toppings. It’s impossible to enjoy the flavor that a delicious burger has to offer if it’s topped with a mountain of onions, tomatoes, pickles, ketchup, cucumber, jalapenos, cilantro, bacon, a fried egg, and whatever else the latest culinary expert dreams up. When it comes to great burgers, less is more. 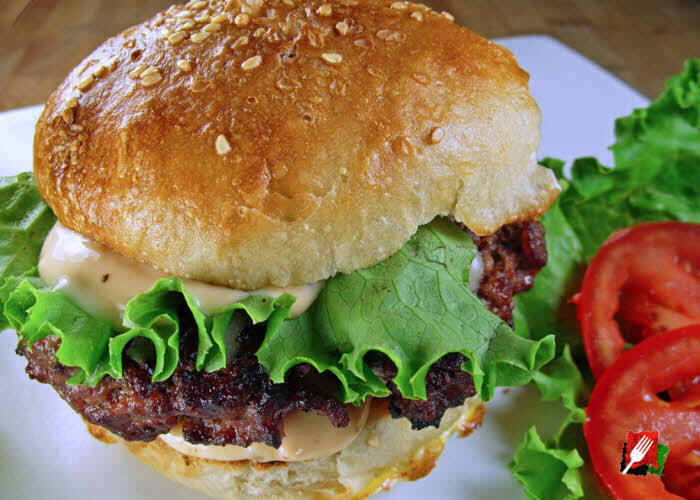 With only 4 basic ingredients plus a delicious homemade Russian dressing, you can now make your own juicy and flavorful burger that you won’t find anywhere else!